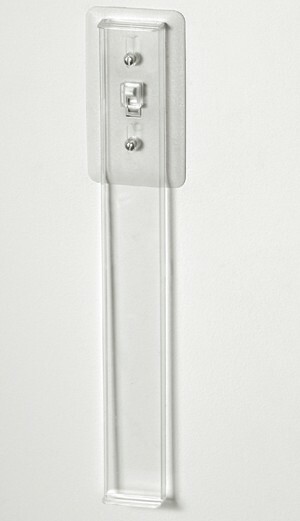 The Wall Switch Extension Handle puts wall switches within easy reach of wheelchair users or people with limited reach. It provides a 12" extension to any standard toggle switch. Screws and bushings are included. Made of molded clear plastic. The extensions are 14 inches long and 1.75 inches wide.